Are minimum wage hikes to blame for falling profits? Corporate America is blaming its poor profits on minimum wage increases. Major retailers and restaurant chains, which employ many minimum wage workers, say their profits are getting pinched by all the minimum wage increases across the United States. Walmart (WMT) announced earlier this year it will pay its employees $9 an hour this year and $10 an hour next year. Walmart cut its earnings outlook Wednesday and said its wage hike will cost the company an extra $1.2 billion this year and $1.5 billion next year. Its stock experienced the worst percentage loss in one day since 1988, falling nearly 10%. In July, Buffalo Wild Wings (BWLD) CEO Sally Smith, told CNNMoney that she may not want to hire teenagers at $15 an hour. A $15 minimum wage is "absolutely outrageous," according to Dunkin Donuts (DNKN) CEO Nigel Travis. Execs at McDonald's (MCD) noted earlier this year that its franchisees were concerned about steep wage hikes. And even Starbucks (SBUX) has come out against a $15 minimum wage, arguing for something closer to $12 an hour. Twenty-six states have increased their minimum wage since January 2014, according to the Economic Policy Institute, a Washington think tank. It's also important to remember that the U.S. job market has gotten better since the financial crisis. As more people join the payrolls, it usually puts the most pressure on minimum-wage employers to raise wages. Is the wage hike excuse legit? On the flip side, Walmart and McDonalds haven't been performing well lately and some say it's a case of the "dog ate my homework" excuse. Advocates for minimum wage workers say that as wages have gone up, Walmart has cut workers' hours to save money. The company disputes those claims. Walmart says its workers have access to more hours than they did a year ago and the company is bettering associates' lives. 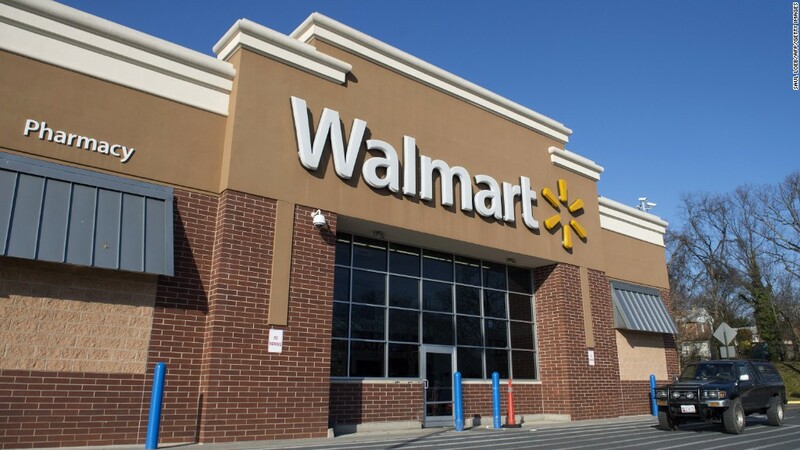 "Walmart is investing $2.7 billion dollars this year and next in higher wages, education and training for our associates," says Walmart spokesman Brian Nick. Analysts say that while there might be a little embellishment from executives about the impact of wage hikes on profits, the concerns are largely accurate. "In general I think their commentary is accurate," says Mark Kalinowski, a restaurant industry analyst at Nomura Research. He added that the wage hikes could weigh on restaurants' sales for the foreseeable future. Although the general public may be in favor of minimum wage increases, they don't like to put their money where there mouth is, experts say. To balance out increased wage costs, some restaurants may need to increase menu prices -- a move that remains deeply unpopular with customers of all stripes. "They do not want price increases at all," says Kalinowski.